Valentine’s Day is one of those school days that lends itself to many special memories. Who doesn’t remember decorating that white sack in anticipation for all the valentines our classmates would pour into it. This year, make Valentine’s Day extra special with an easy to make card holder. Simply ask your local school lunchroom to save large vegetable cans. On a day when they serve soup, they will probably have all that you need. Wash these out and let them dry. Next, take the cans outside and spray paint them red, pink, or white. For the handles, drill two holes into each side of the cans. Slip colorful Valentine’s Day printed ribbon, cut to the desired length, into the holes and knot on the inside. Be careful as the drill may have left jagged edges at the holes. If you don’t want to drill holes for the handles, simply hot glue the ribbon to the interior of the can to form the handle. Now your children are ready to pick which can they would like and continue to decorate it. Provide Valentine’s Day stickers, paints, and even heart-shaped stamps. You will be amazed at your children’s creativity, and they will be so proud of their beautiful Valentine holders. Best of all, you’ve saved a lot of cans from heading to the landfill. 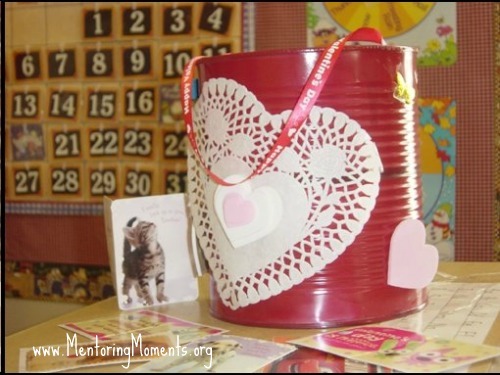 Why not plan a Valentine’s Day party and have everyone in attendance make a bucket? 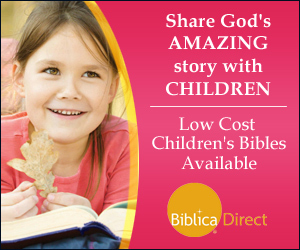 Invite all of your children’s friends and instruct them to bring cards to exchange. For a complete party planning guide, visit Currclick to purchase a Valentine’s Day Party eBook which includes printable cards, games, snack ideas and more. Kathy Hutto is a wife, homeschooling mother, entrepreneur and author. You can visit her online at www.toddlerbitesblog.wordpress.com.